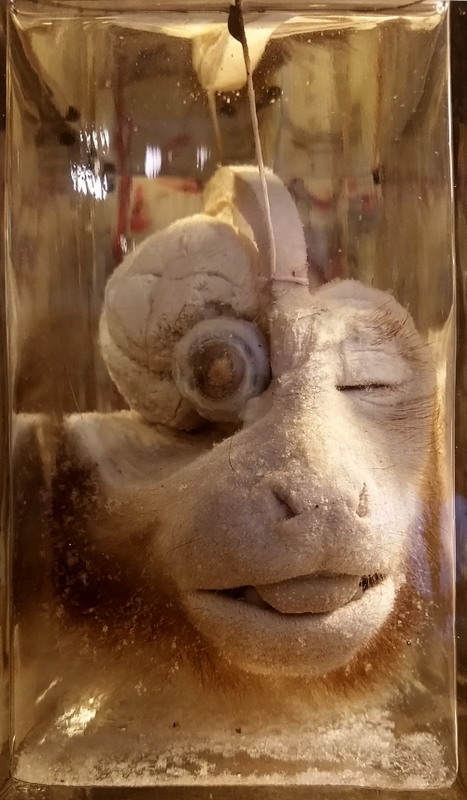 While this specimen may seem a little gruesome at first glance, it’s interesting because the skull has been carefully removed to show the brain and eyeball on one side of the head and the cavity where the brain sits on the other side. The museum is full of skulls and brains in jars, but it’s less usual to see them prepared in a way that shows how they fit together. 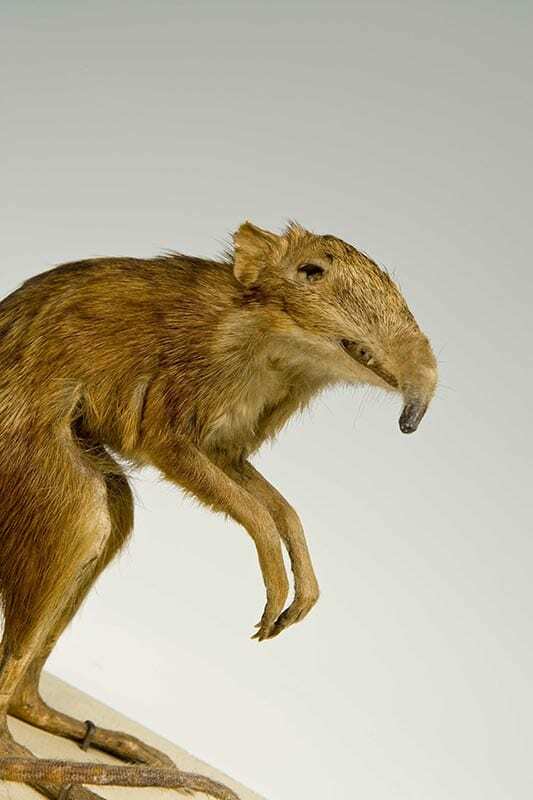 Of course, such anthropomorphism is a distraction from the serious business of biology. The majority of specimens in the collection weren’t really prepared with public display in mind, they were made as tools for teaching and research, to help us better understand the underlying machinery of the body. 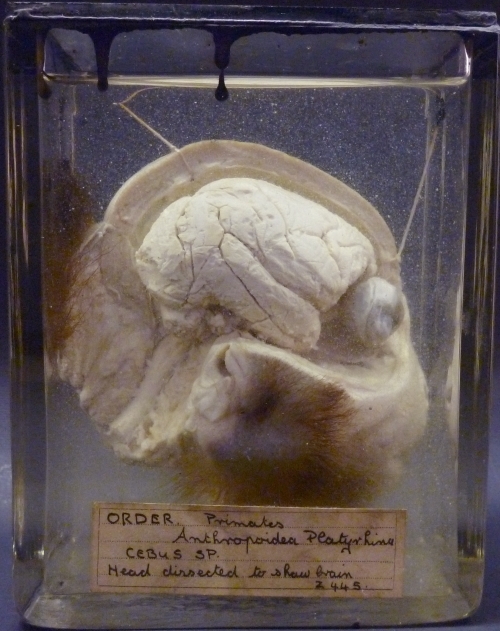 The specimens we have are great at doing that, which is why I love the collection – but it doesn’t mean we can’t have some fun with them too, after all, our creativity and imagination are by-products of our complex brains and just as worthy of celebration as the physical structure. It is a fantastic way to create extra attention for your specimens. I truly like your anthropomorphism approach. 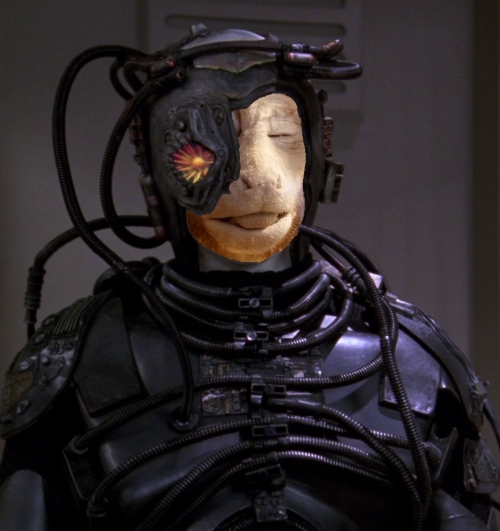 The monkey is a amazing specimen. Doesn’t it take exceptional skill to make a specimen like that?